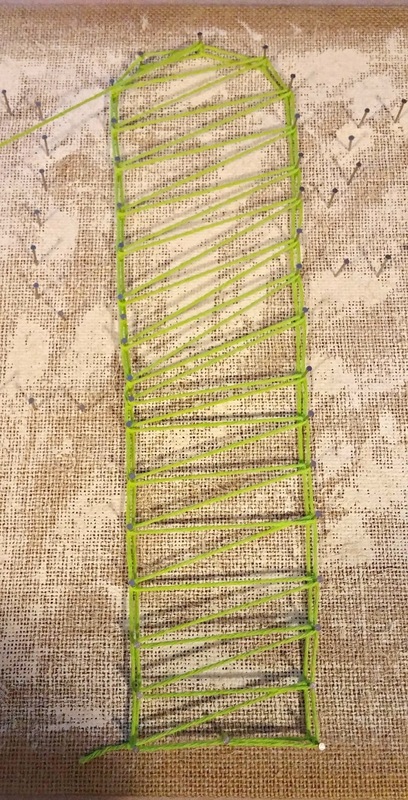 Raise your hand if you remember the string art of the 1960's... 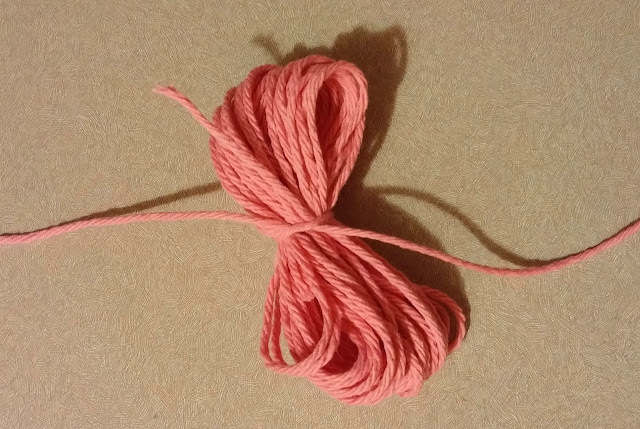 I'm pretty sure my mom made some when I was young! 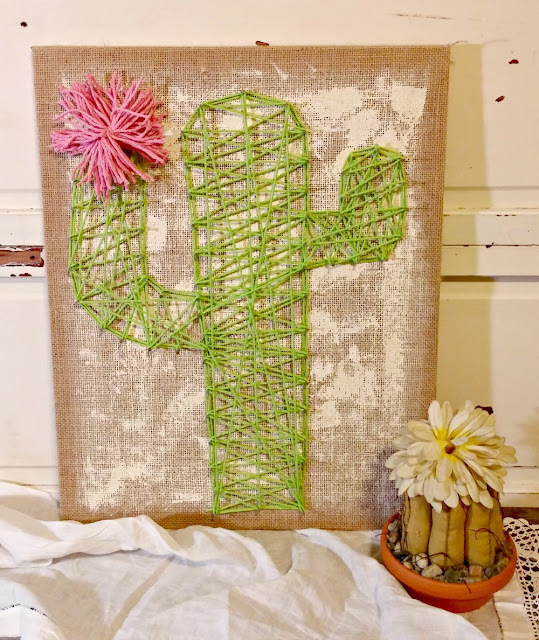 With the rising popularity of bohemian and 1960's home decor the string art of the past is experiencing a resurgence and in much cuter and trendy designs too! 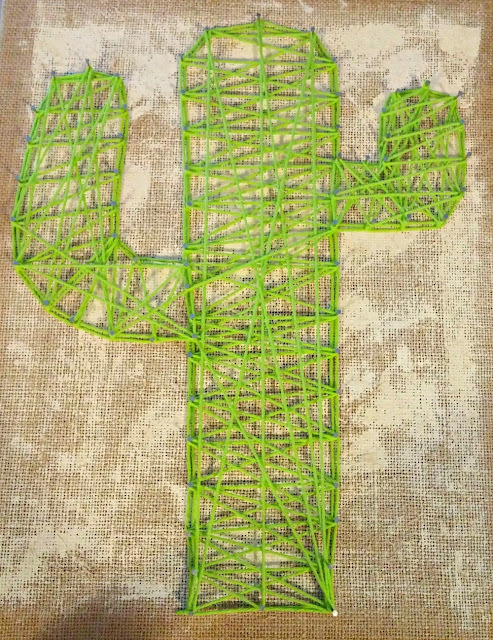 I've been wanting to try making a string art piece and I had finally had my opportunity! It's not old, it had a Target sticker on the back and while I'm sure some people may like it, it's not my style and it had quite a few bumps and scratches anyway so it was the perfect candidate for a repurposing project. 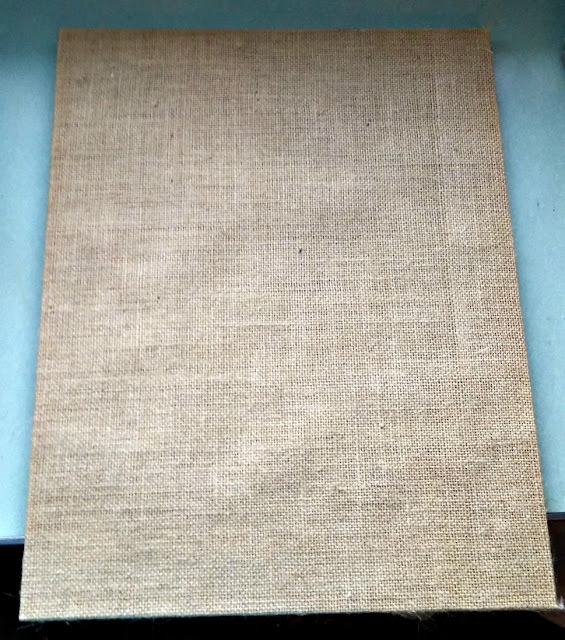 When I flipped over to the back I found that it is a solid piece of wood that has been wrapped in canvas... and burlap?? Whaaaatttt??? 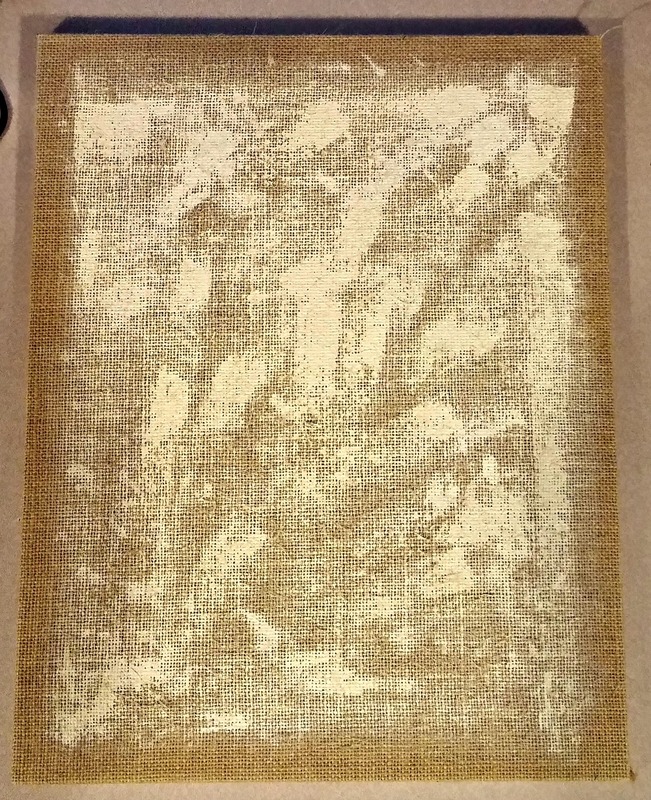 burlap?? ... Must investigate!! 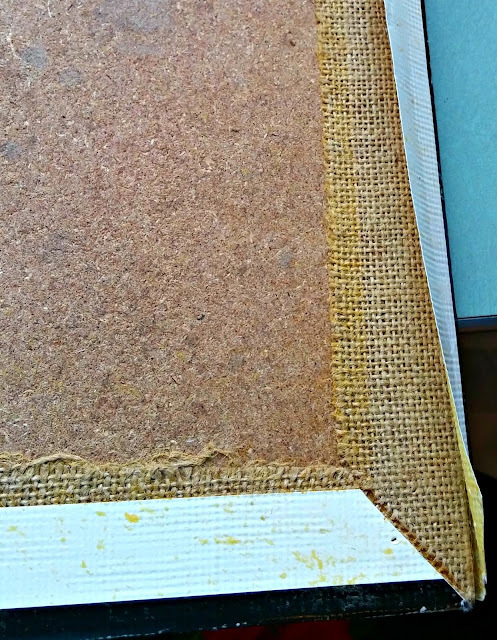 I started to peel off the canvas and it just popped right off to reveal a burlap covered solid board, that's when the idea of string art popped into my head, it's the perfect surface! I gave the burlap a slip-slap, sloppy paint job just to add some background interest for my cactus. 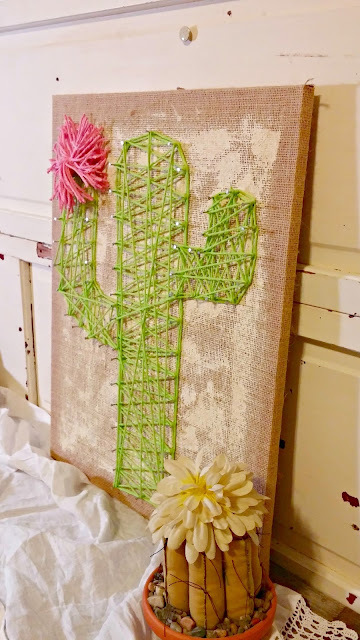 I chose the popular Saguaro cactus and I just free handed it on a couple of pieces of computer paper and then tacked it onto my board. 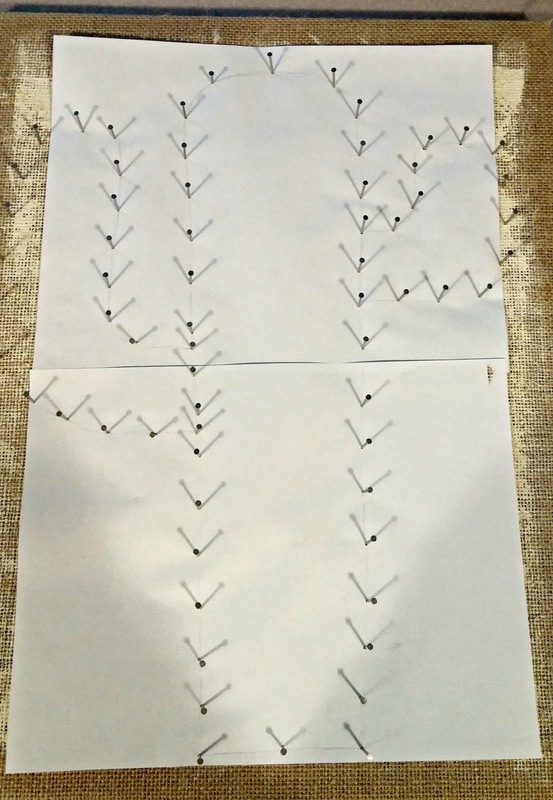 Then I continued adding nails following the pattern. 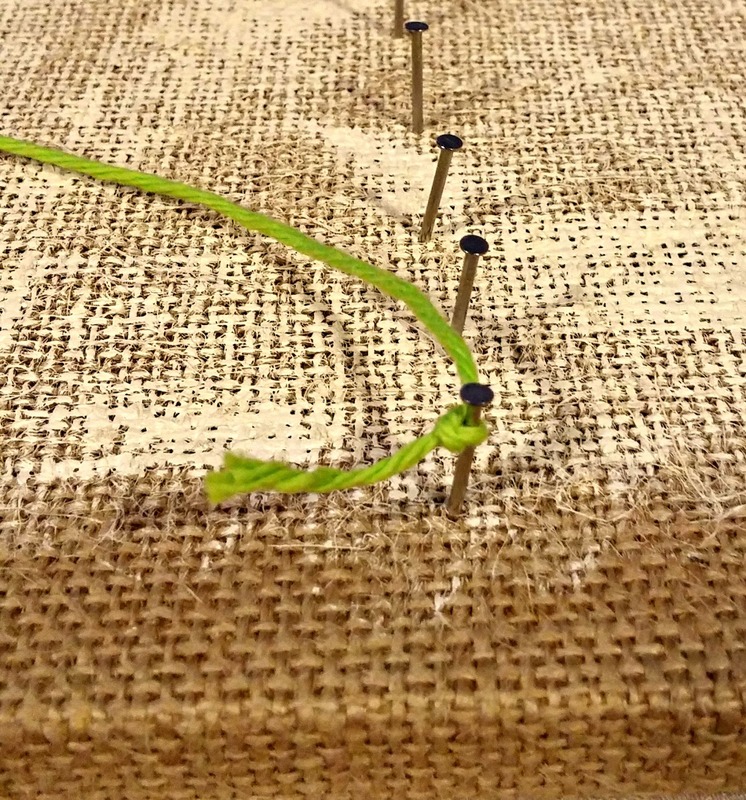 The nails should be hammered into the wood enough to be secure and not wiggle when you start wrapping your string or yarn around them but still sticking up enough to allow room for the layers you'll create. 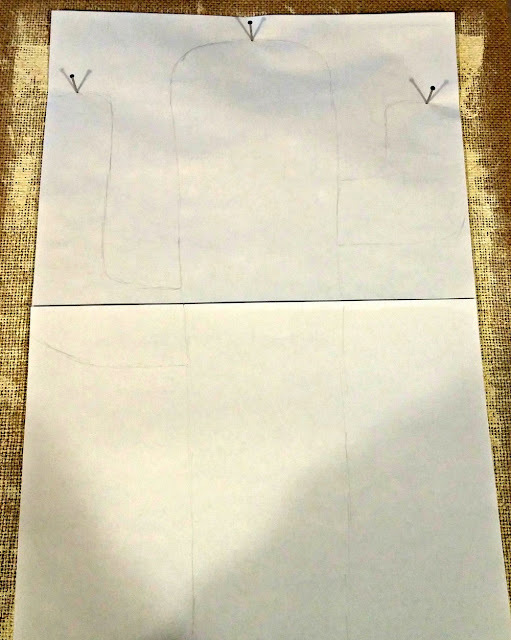 You can see my paper wasn't wide enough but it's such a simple design I just winged it! 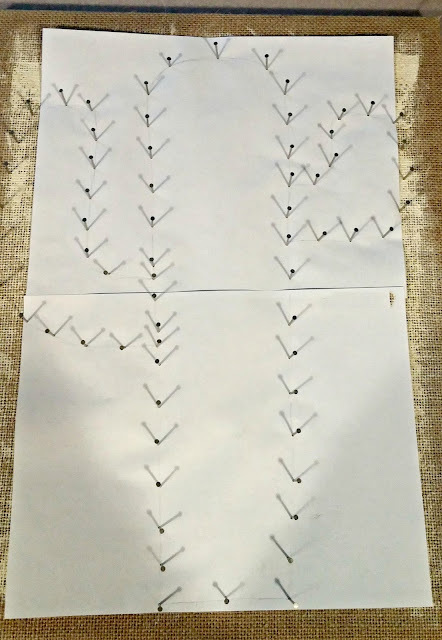 Once all the nails are in place you can just pull the paper pattern pieces off. 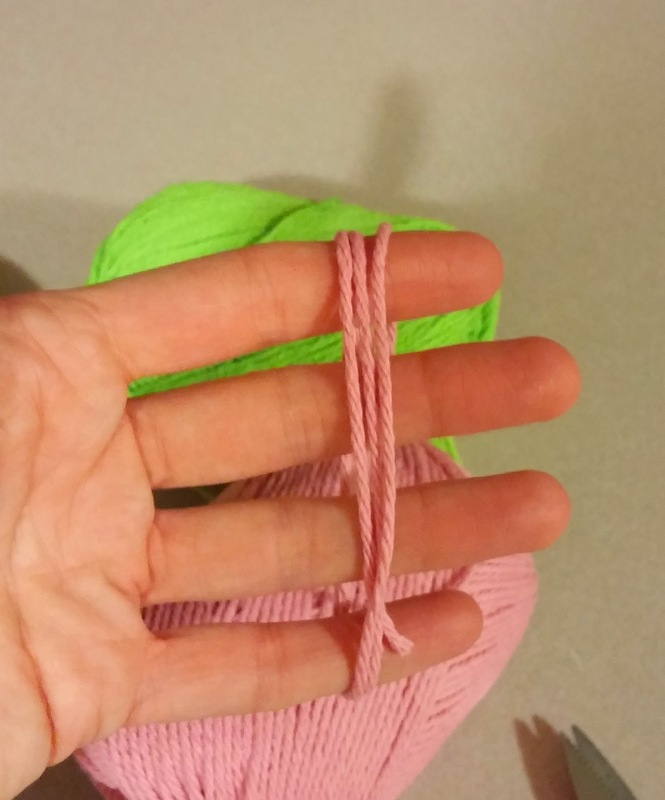 Start in one corner and tie the yarn onto one of the nails. 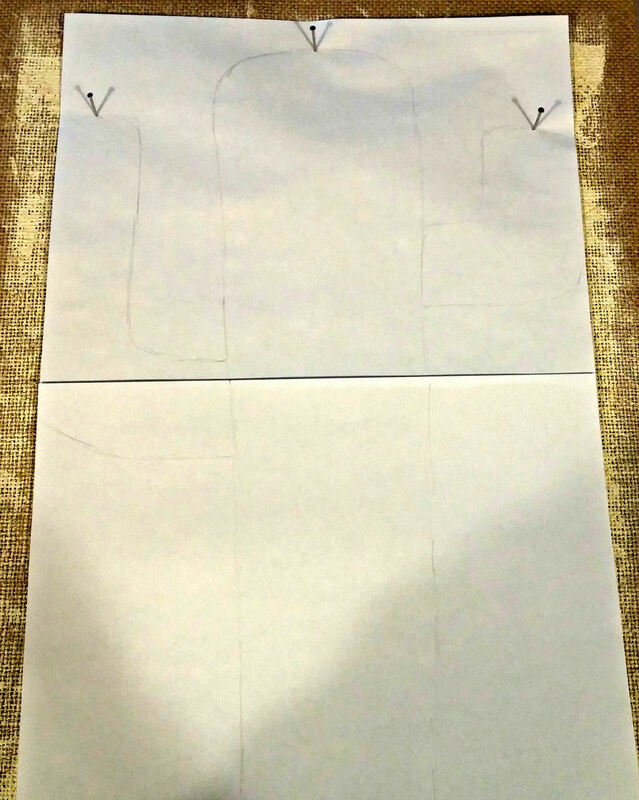 Then you just follow the nail pattern wrapping your yarn around each nail until you have the piece outlined. Then go back around again but wrap the yarn around the nail in the opposite direction this time, this will leave a little bit of a gap for a nice outline and add dimension and interest too! 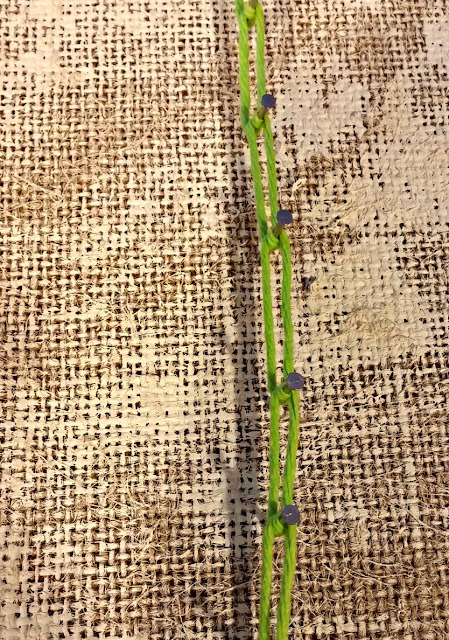 Here is what the center part of my cactus looked like after completing this step. 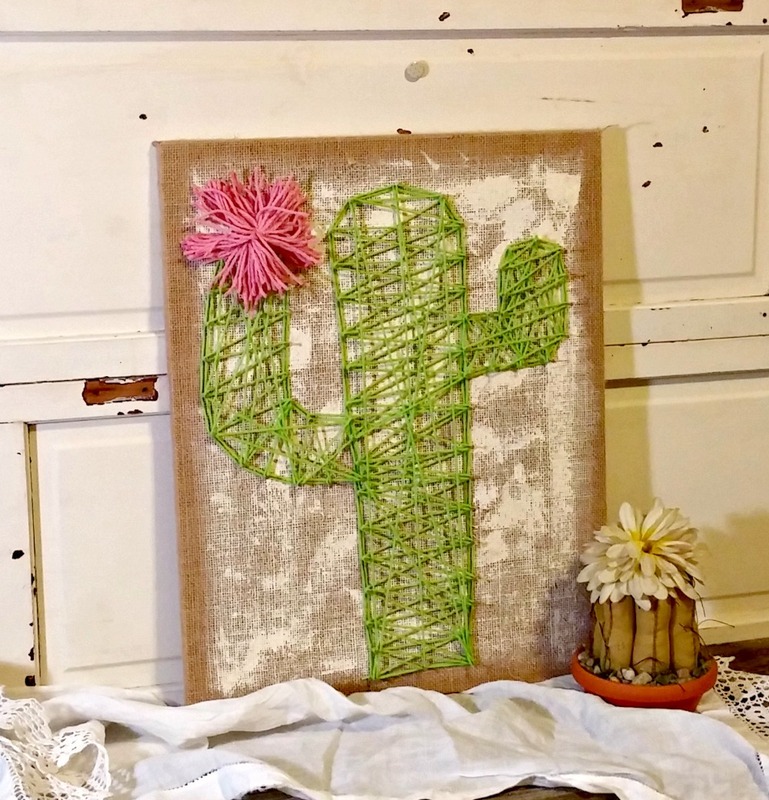 Note, in string art you do not cut your yarn, this cactus was made with ONE continual length of yarn! 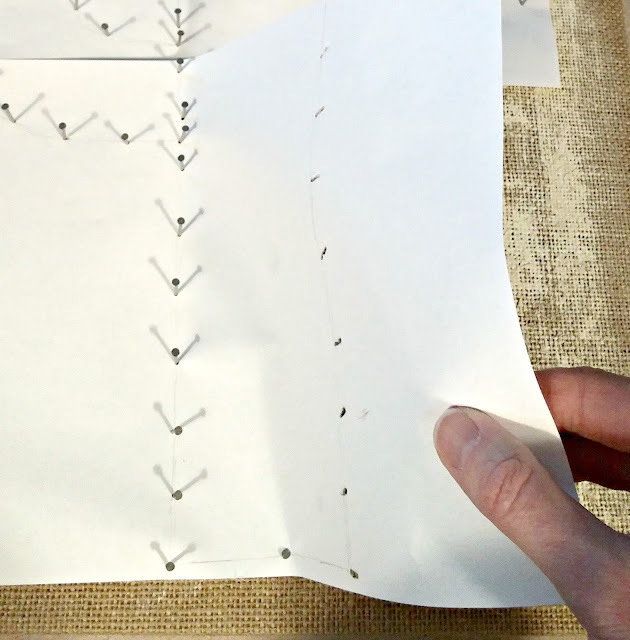 After you have completed the outline, start to go back and forth across, in a zig-zag motion from one nail across to another. Once I finished the center piece of the cactus I started on the side arms... remember don't cut your yarn, just use the nails to get where you need to be on your design! Don't worry if it's not perfect, the string art trend right now is not as perfect as those from the 1960's! 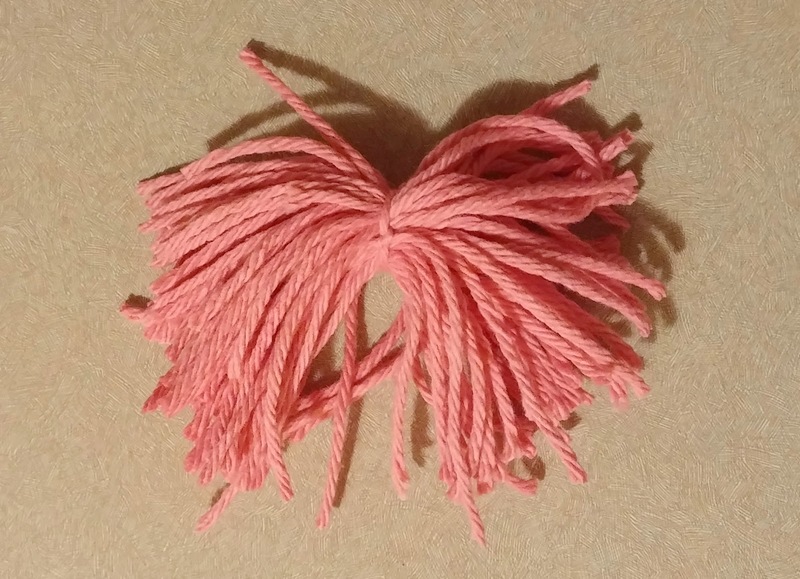 Cut the end loops to create a very loose, floppy pom-pom. 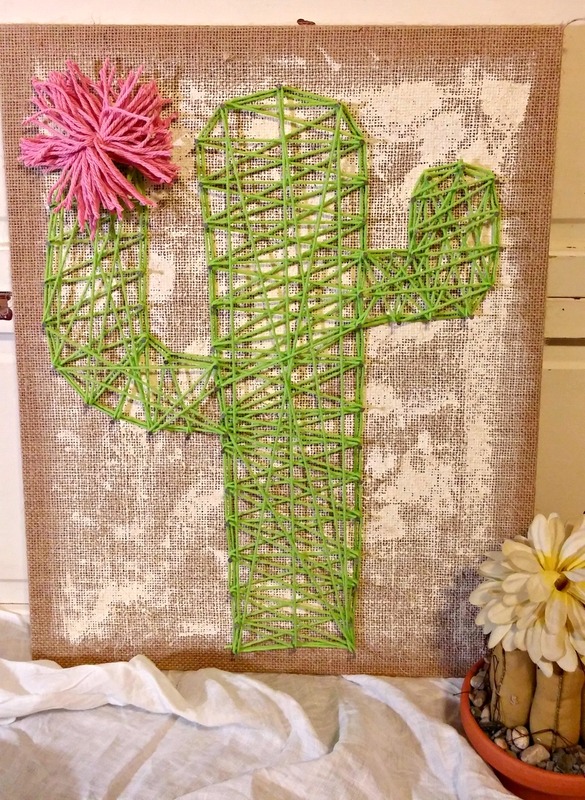 And you have a super adorbs little string art cactus!! It was super quick and easy to make, I finished the cactus part in about 1/2 hour before work one day! 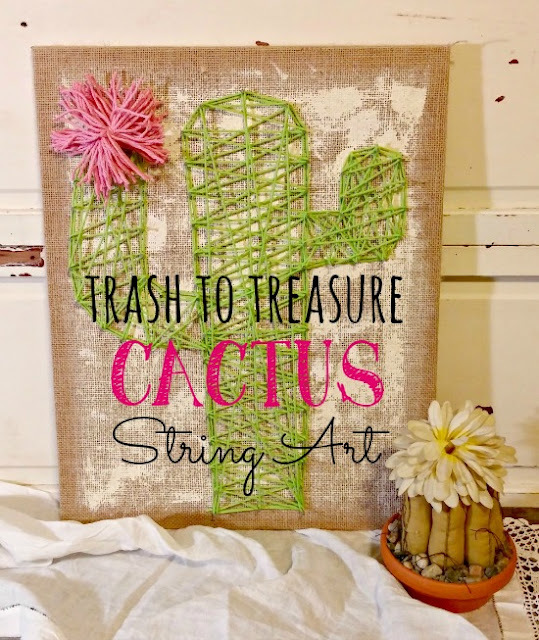 Here's a side-by-side of this trash to treasure project for a reminder! And here are some fun string art kits and supplies! What a transormation! 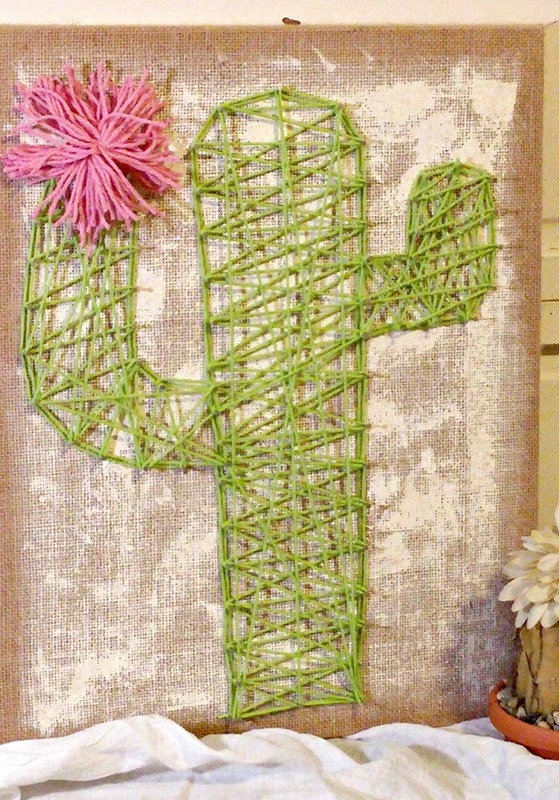 Love the cute cactus design. 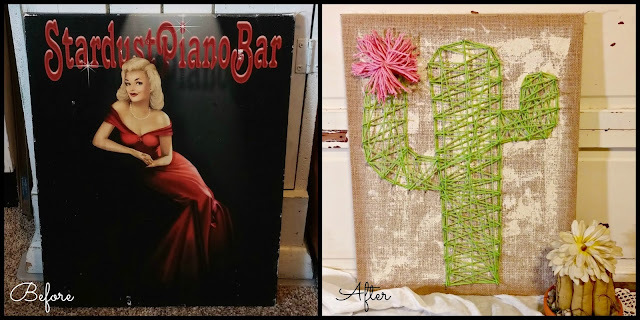 I made several string art pieces waaay back in the day but they weren't as cute as this one! Love it Tania! The green with the pink flower is perfect for my bedroom. Love that colour combo. 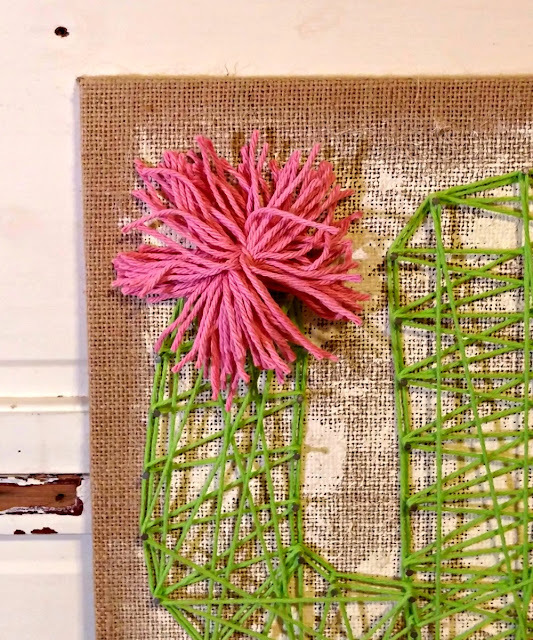 I remember making string art way back in the day. It was such fun! I thought I remembered some you made!! I love the green and pink together too! Very clever trash to treasure, Tania! 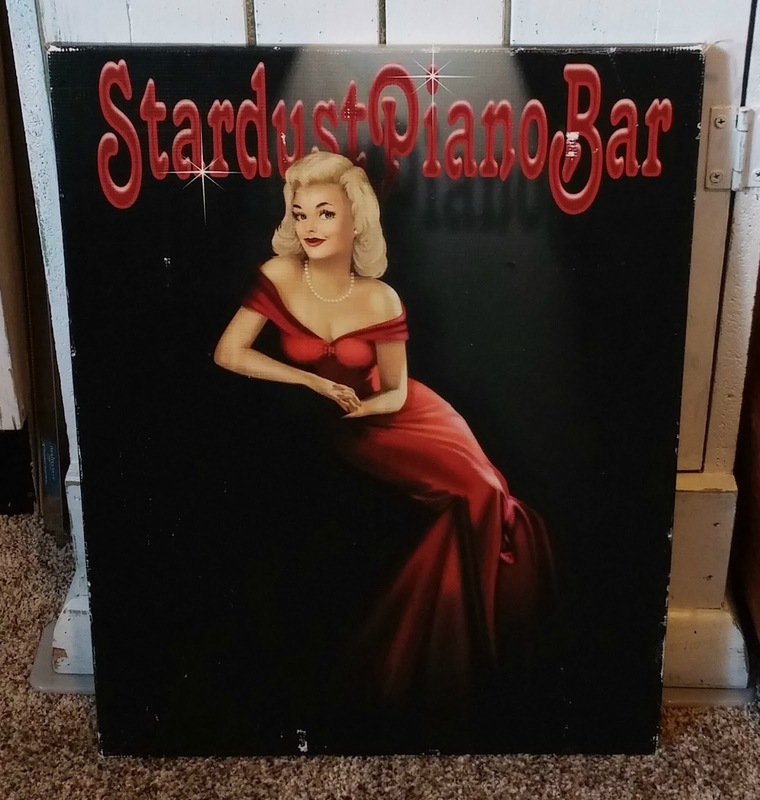 Thanks for sharing @ Vintage Charm!